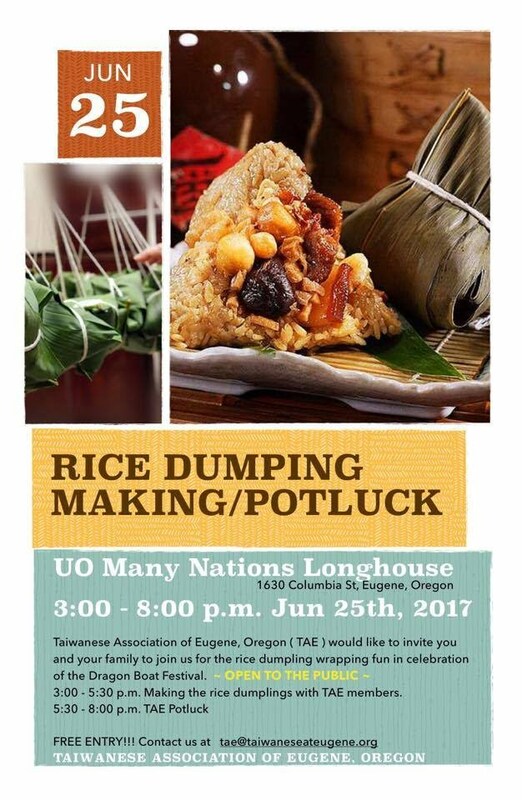 Look for our annual 包粽子 rice dumpling making event every June. at UO Many Nations Longhouse. We will be making rice dumplings from 3-5pm. Potluck will begin at 5:30pm. Join us for some good food and good company!